I have been worked with customers using BizTalk as shared infrastructure in the enterprise, where we have two or more BizTalk apps running on it for different Business groups. Also these customers are not using BizTalk ESB portal even though they are using BizTalk ESB exception framework. So main issue with all these Business groups are they don’t have visibility into the BizTalk apps running in prod, even though they are using SCOM and other monitoring stuff in place. So I am trying to address few issues I am going to list below and how I try to mitigate them, first one on the list is how to get visibility into prod, how to provision those access to the BizTalk resources with minimal activity and how can we take advantage of the resources we have today. So I was working on creating REST data services for BizTalk RFID a year ago and available on codeplex. I thought to extend that idea to take advantage of BizTalk Data Services available in codeplex. I extended the BizTalk data services I will upload the updated service soon. So let me start thru how my solution works, so first step I am using the BizTalk data service (REST service) which expose most of the BizTalk artifacts as resources such as Applications, Orchestrations, Send ports, Receive ports, Host instances and In process instances etc. I am hosting the BizTalk data service in IIS with application pool configured to run under BizTalk administrator credentials. So with this setup I am making the service to make accessible anonymous. Next step of this solution I have created a SharePoint Visual web part which consumes the BizTalk data service and display all the BizTalk Application and Platform settings in read only mode. Even though BizTalk data services offers to browse resources as well perform actions like starting, stopping Orchestrations, Send ports, Receive locations, Host instances etc. 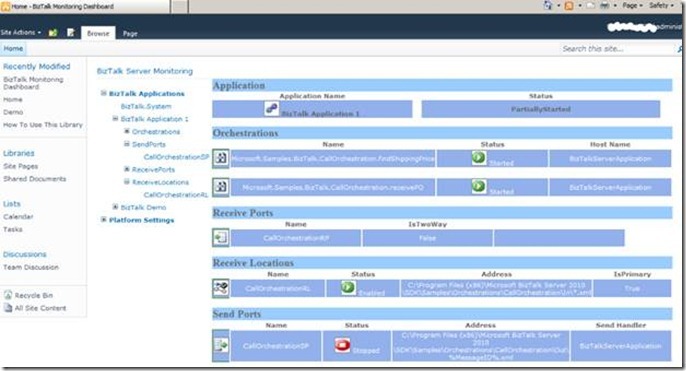 So having this BizTalk Monitoring SharePoint web part, will be added to the SharePoint. This eliminates the need for granting access to the BizTalk users explicitly, so when you have BizTalk contractor or BizTalk application user need to have access to the BizTalk environment all the need is have access to the SharePoint website. You can configure the web part point to different end point based on your environment. I am making this as read only as part of this to make easier for the users and in terms of provisioning. This removes the dependency of BizTalk admin at least for viewing the BizTalk application status and errors etc. If we need to make any changes to the BizTalk application then its application owner responsibility to co-ordinate with BizTalk admins. There are options like BizTalk ESB portal, BizTalk 360 etc… but this one of the approach to reduce number of steps required to give access to BizTalk application users and also to maximize the resource we have in enterprise today. Also you can expose this data service thru Azure Service Bus and access from other apps like mobile devices or create a web site hosted in Azure etc. One last thing I have tested only with BizTalk Server 2010 on x64 VM only, but it should work on other version. I will try to upload the code shortly with instructions how to setup etc.… I welcome thoughts and suggestions… Hope this helps…. 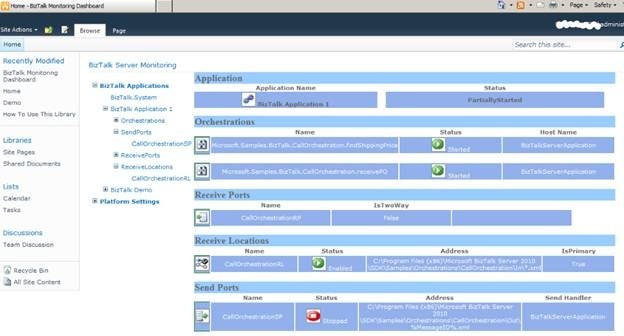 ESB Tool Kit is going to be part of the core BizTalk product and Setup. 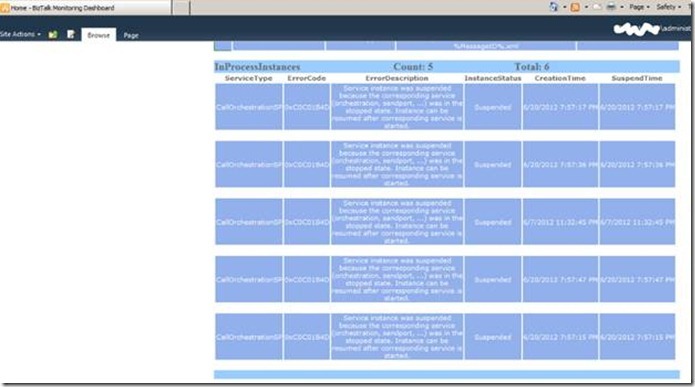 Visualize BizTalk artifact dependencies in BizTalk administration console. HIS administration using configuration files. Improved performance in dynamic send ports and ESB, also to configure BizTalk host handler for dynamic send ports. Right now it runs under default host, which does not enable to scale. MLLP adapter enhancements and DB2 client transaction load balancing / client bulk insert. Visual Studio 2012, Windows 8 Server, SQL Server 2012, Office 15 and System Center 2012. B2B enhancements to support latest industry standards natively. Improvements to SMTP adapter, to add macros for sending same email with different content to different parties. Connectivity to Azure Service Bus relay, queues and topics. 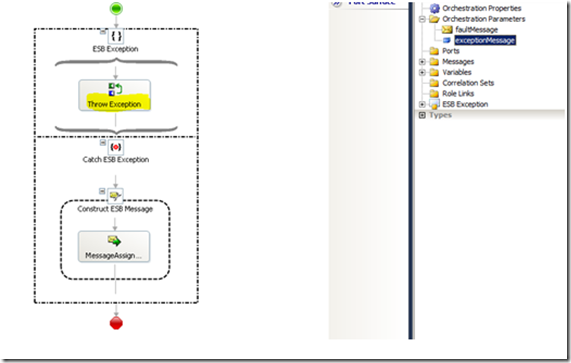 DB2 client connectivity to SQL Server and SQL Server connectivity to Informix. CICS Http client connectivity to Windows. Use Azure as IaaS/PaaS for BizTalk environment. 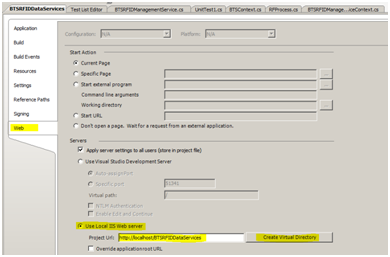 Use Azure to provision BizTalk environment for test environment / development. Later move to On-premises or build a Hybrid cloud approach. Eliminate HW procurement for BizTalk environment for testing / demos / development etc. Enable to create BizTalk farm easily and remove/add more servers as needed. Bridge can be customized based on the service needs to provide different capabilities needed as part of the bridge. Look at the sample for EDI bridge for EDI service sample. Also with Tracking enabled through the portal. Service Bus Messaging adapter - New adapter added. WebHttp adapter - For REST services. NetTcpRelay adapter - New adapter added. It was really exciting weekend at Atlanta code camp 2012. This was my first code camp, I presented on “Windows Kinect for Enterprise”. Walked through couple of demos, how we can integrate Kinect with WPF application. One of the demos I walked thorough how you can integrate Kinect with Microsoft Lync 2010 and other one on Car console app. You can check the uploaded code here. I appreciate all the folks attended my session and thanks for all the organizers. It’s really exciting news that new SDK V1.5 Kinect for Windows was released on May 21st 2012. There are lot of new features and enhancement made as part of this release. Let me highlight few here and I will try to come up with some demo we can explore them in more detail. 1. Seated mode skeletal tracking was included in this release, which can track upto 10 joints. 2. Improved skeletal tracking in near mode and better performance. Also joint orientation info to determine simple pose detection, which is really cool. 3. Facial tracking is one of the new feature added as part of this release. 4. Kinect studio a new tool added to record and debug the Kinect data, which is nice for testing. I had run into issues where I need to watch the Kinect and my app at the same time with V1.0. This tool will definitely fix the issue. 5. Added more locale support for speech recognition and lot of code samples as part of this release. Working for a customer recently on BizTalk ESB Exception management, ran into issue when creating a generic orchestration for handling exceptions. This generic orchestration will be used by all other applications in the enterprise. I ran into issue when an exception message is sent to this generic orchestration, we had 100% CPU utilization and found out to be a issue with the BizTalk ESB Exception management. But I don’t want to go and change the Exception management framework; I did a simple fix by passing the exception and fault message to the generic orchestration from the main process. 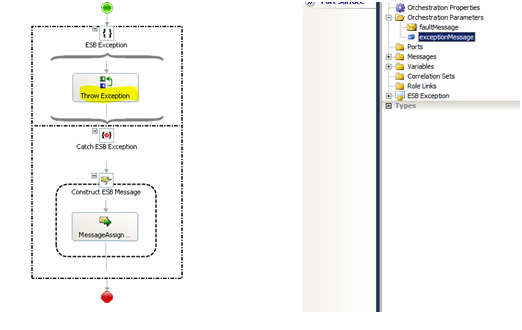 In the generic orchestration have an expression shape to throw the exception and have an exception block which I used the ESB exception framework to send out the message to the BizTalk ESBExceptionDb. Queue accepts duplicate messages: Sent multiple duplicate messages and accepted by the queue. Queue w/o duplicate messages: Sent multiple duplicate messages and rejected by the queue and the last duplicate message received in last 1 second. When we migrate some BizTalk apps from BizTalk 2006 R2 to BizTalk 2010, and we ran into issue when a .net component called inside the orchestration. In the .net component we are trying to retrieve some promoted property and we also checked in the BizTalk group hub to validate it was promoted, no issues there. Only when we try to access the data into the .net component we had issue. We just moved all the assembly what we had in BizTalk 2006 R2 to BizTalk 2010, didn’t recompile anything in BizTalk 2010 environment. But looking further there is couple of new namespace added to the Microsoft.XLANGs… in BizTalk 2010 compared to BizTalk 2006 R2 caused the issue. So all we did to fix the issue is recompile the project in 2010 environment and it worked fine. So it looks like some backward compatibility issue. // get the process id from context. Inner exception: A property cannot be associated with the type 'Tellago.Common.Schemas.ProcessId'. In one of our prod server we recently ran into issue when we went and update the web.config and try to browse the service. We started seeing the service was not responding and getting the following warning in the application log. Our service is WCF service, BizTalk orchestration exposed as service. We have other prod server where we never ran into this issue, so what’s different with this server. After going thru lot of forum and came up on some Microsoft service pack and hot fix which related to FCN. But I don’t want to apply any patch on this server then we need to do on all the other servers too. So solution is simple, I dropped the existing website, created a new site with different name with updated web.config browse the service. Then dropped that site and recreate the original web site and it worked fine without any issue. <ExceptionString>System.Threading.ThreadAbortException: Thread was being aborted. Working on prod issue for one of our customer using BizTalk 2006 R2 RFID, we started running into a strange issue where we are reading the vehicle and driver information. We started seeing all of our drivers tags are getting rejected after the 1st successfully read but all the Vehicle tag get processed without any issues. Just for your info each driver keep driving new vehicle each time so that’s clue for you. So on further investigation we found duplicate elimination event works fine for Vehicle tag but start rejecting driver tag after the 1st read, driver comes back after 15mins. So digging into the Duplicate elimination Interval – Event Handler. In BizTalk 2006 you have only one parameter – “Duplicate Elimination Interval”. So if you dig into the code you would see it take the device tag time and compare against the RFID server time. So in our case RFID Server time was different than Reader time by an hour. So making the Reader time and Server time fixed the issue. But there is a better solution using the BizTalk 2010 duplicate elimination event handler, so if you are using and want to make better I would recommend use it. // If the elapsed time is greater than the dup check interval, we can accept this tag. 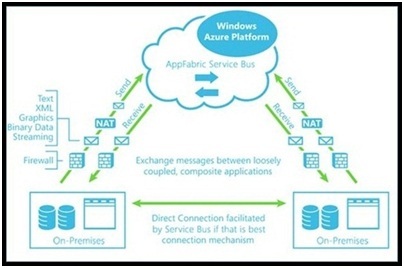 This post is extension to BRE Data Services how to expose the On-Premise REST based service thru Azure appfabric service bus to your partners outside your enterprise securely. We at Tellago have created numerous REST based service for monitoring and managing for BizTalk Server, BRE and RFID Data services etc. Want if your enterprise wants to leverage the service to be accessible outside your enterprise in secured manner by external parties or mobile apps. So by using Appfabric Service Bus you’re not only creating external accessible endpoint for your service but also any other client within the same network can directly access the service without going thru the cloud as shown below. If you using BizTalk Server, download the BRE Data Services. Configure as in the installation docs for BRE data service. So now you have your REST based data service ready now, which you want to expose the service to be accessible from outside your enterprise. So I hope at this point your already have installed the Windows Azure Appfabric SDK on your machine and also created Windows Azure AppFabric service namespace, and obtained a shared secret key. Combination of service namespace and shared secret provides way to authenticate the application accessing the service thru the Service Bus. Go to the Web.config under the “Tellago.BRE.REST.ServiceHost” project and replace everything within the <system.serviceModel> as shown below and change the place holderYOURNAMESPACEwith your Azure Appfabric namespace and also change the ownerand [YOURKEY] with your issuer Name and issuerSecret. You should be all set to test the service now. I am setting my client authentication type to none as shown in “relayClientAuthenticationType="None"”. Also I am using SharedSecret credentials to bind the service to the cloud (Azure Appfabric service bus). So we basically uses two type of security one to bind the service and service bus and another between service and client. In our case we set the second one to None. It’s cool we are able to access the service outside the enterprise with just changing few lines in the config without going thru any hassle of network team just kidding :). Hope you find this helpful and take advantage of this as first step towards the cloud based approach. We are glad to release the BizTalk RFID Data Services as part of our open source contribution here at Tellago. Let me get into some details on what’s BizTalk RFID data service and who can take advantage of it. BizTalk RFID data service is all about exposing BizTalk RFID artifacts as Restful service interface which can be easily accessed by different application within the enterprise and outside such as mobile applications. So anyone who wants to monitor the BizTalk RFID can take advantage of it. It’s easy and lightweight and it works against BizTalk RFID 2006 R2/2009/2010. It should be really handy service for support folks and business interested in monitoring. I have to thank my colleague Uri for helping me getting this out. The BizTalk RFID data service allows you to query the RFID resources such as Process, Devices, Device Groups and Device Providers. In addition to monitoring you can also use the service to Start and Stop Process and Devices. The following are some examples based on the features available in this release. With the BizTalk RFID Data Services, we also provide the functionality of executing a particular device or process update via HTTP as show below. 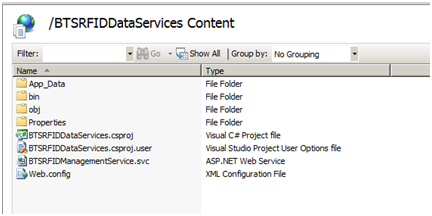 Also you can use IUpdatable Interface of WCF Data Services. • Change the app pool in IIS and appPool account running the website should have been part of the BizTalk RFID User group. • Right click the BTSRFIDManagementService.svc and browse. o SO-Aware Test Workbench provides developers with a visually rich environment to model and control the execution of load and functional tests in a SOA infrastructure. This tool includes the first native WCF load testing engine allowing developers to transparently load test applications built on Microsoft's service oriented technologies such as WCF, BizTalk Server or the Windows Server or Azure AppFabric.